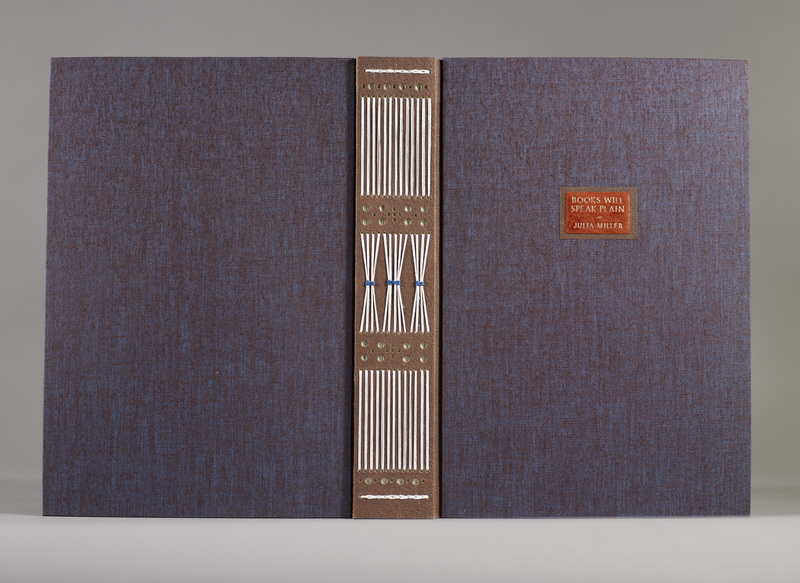 Longstitch/bradel binding with walnut Cave Paper spine and endsheets, boards covered in blue/brown bookcloth, title gold-stamped on terracotta leather label. Jill Krase is a bookbinder in private practice in Winona, Minnesota, where she also teaches binding workshops. She studied binding with Larry Yerkes, Priscilla Spitler, Jana Pullman, and Anna Embree at the University of Iowa Center for the Book. She has an MA in English from Illinois State University.